Last weekend (16-18th November 2018), was the Kendal Mountain Festival that took place in Kendal, Cumbria. 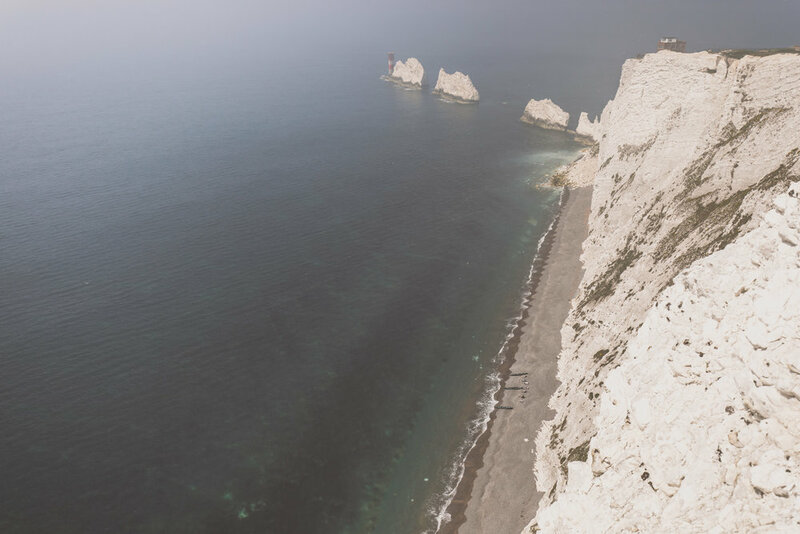 It’s probably one of (if not) the largest UK’s largest Outdoor and Adventure Festivals with a host of speakers, talks, films and brands showcasing themselves and their work. Every year, they hold a photo competition open to all to enter, with a selection of categories to enter in to. This year, I decided to enter the competition as a last minute spur of the moment decision, because after all you have to be in it to win it. I had never entered in to a photo competition before, and thought why not, nothing to lose. This shot was taken in a private bothy in Scotland. Thanks to Rachel Keenan for asking to come and Barry Wallace from Wilderness SUP for allowing me to tag along, as Barry knows the location to this wonderful bothy. “The morning light enters, but nobody is wanting rise. Too comfy. Too cosy. Another day of adventure awaits, but it can wait a few more minutes”. I'm always on the lookout for new and interesting projects to potentially work on, and this is how I stumbled across the Norway 75 expedition a couple months ago. Having previously tried to help out on a different Royal Marines Charity project but unable to back in December, I knew when I saw this opportunity I had to see if I could help. Getting in contact with Captain Tim Pitcher who was heading the expedition, we put a plan together whereby I could head out on to their training trip to the Isle Wight in May, with their main ambition to practice some sea kayaking manoeuvres as this would be one of the few times before their expedition that the whole team would be together. 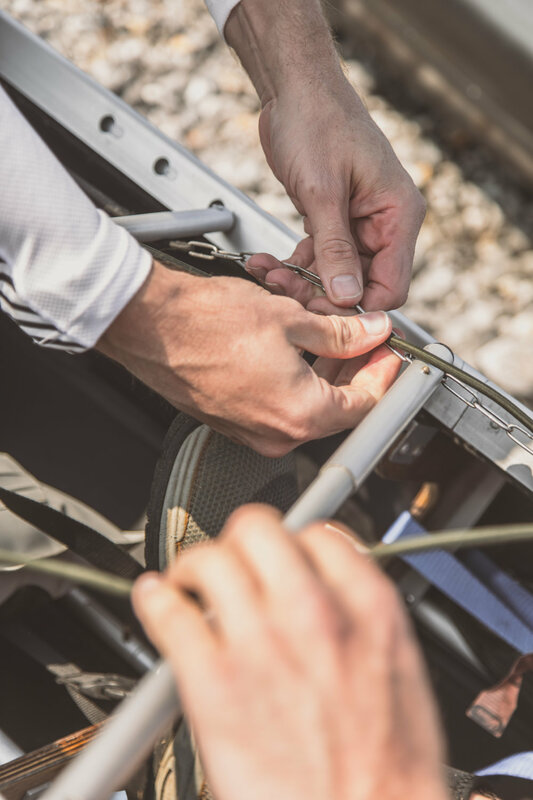 The brief was quite simple - capture some key aspects that the team may have to use/overcome that may happen out on the expedition. 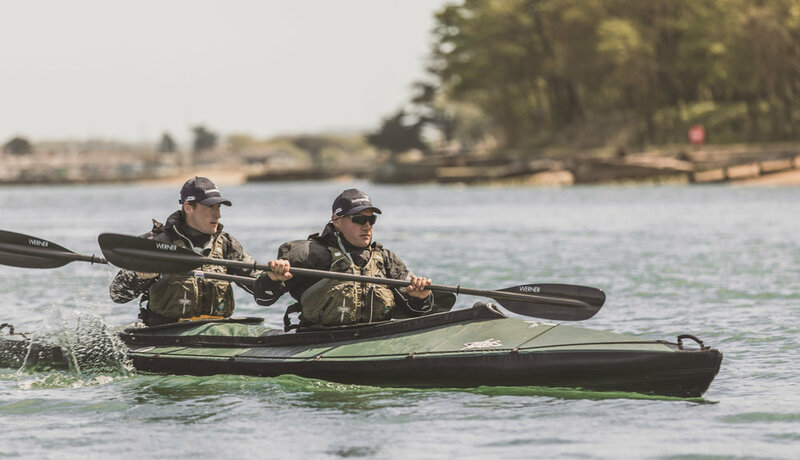 This included various things from learning how to capsize and re-enter the kayaks, to on land first aid as well as trying to capture moments that show the Commando Spirit. For me, this was quite simple. Let them do their thing while I linger in the background and snap away with the occasional more detailed shot. For me however, knowing that this is predominantly a water-based exercise, I knew that I would need to get some shots out at sea. Tim was also aware of this and knew this would be key in to capturing some key moments so went ahead and organised a rib boat for myself and for a cameraman. For me however, having a boat was also a catalyst as it then enabled me to get some shots of the team not from on the water, but IN the water. I had originally brought along a wetsuit for exactly this reason as well as bought a new waterproof camera cover for exactly this reason. Ironically, it was the first real test for the cover after a few submersion tests at home, but I knew the cover would hold up and help me get the shots I wanted. For me, it was essential. The only way to get the up close and personal shots that I wanted was to be in the water with the team, and I'm glad I did! I'm also glad that Dave (one of the team members) leant me his dry suit, as I don't think my wetsuit may have been thick enough for the cold English waters - despite smelling of fish! Team dynamics had changed since their website had been made, so I was asked to take some fresh portraits in some of the new sponsor clothing they had recently received. The setup was quite simple. There were no interesting backdrops to use around the camp we were staying in, so the Land Rover became an interesting aspect, as they are a key sponsor for the N75 expedition. Having had a quick look around the vehicle, I saw that the headlights made for dynamic feature providing as small amount of backlight, but also a contemporary look that I thought worked well after trying to figure out a quick solution for a backdrop. I also had no lighting equipment with me as this was not originally part of the plan, but I made it work. Fortunately, the cloud cover and sun strength combined to make a lovely soft light that lasted long enough for this small shoot, and with some editing, I think the portraits came out really well. Very happy in fact despite almost missing my return ferry back to the mainland. A lot has happened in the space of a year working on a variety of different projects and shoots, heading to Iceland among other jobs, yet the memories from India are still so vivid. This time last year, I would not be sitting in front of my computer photo editing or researching. I would in fact be sitting in my smaller than bathtub sized inflatable packraft paddling down the river Ganges in India alongside a small international group who would be achieving a world first. I had first heard about the idea through a website called Explorers Connect – an online community whereby individuals can upload their expedition ideas and see if any one else out there may be interested. This is how I stumbled upon Shilpika Gautam and Spike Reid. 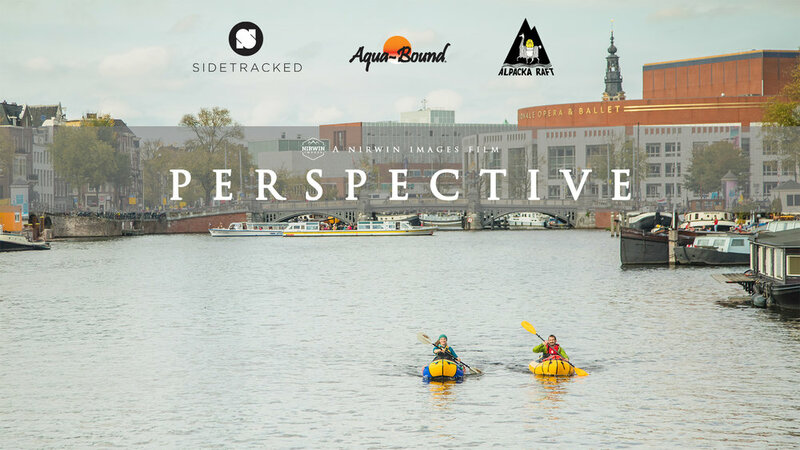 They were looking for others to join their journey of Stand-Up Paddleboarding down the River Ganges from its source to the sea in order to raise awareness of it current pollution problems – aptly named ‘Ganges SUP’. I sent them a message to see what their plan was and if I could help out at all. After a few conversations over a few weeks and a small photo shoot down by the river Thames to help drum up some support and interest in their expedition, and meeting their 3rd team mate Pascal Dubois, they asked me if I would like to come out with them and take some photos to help document their journey. How could I turn this experience of a lifetime down?! I did however, have to have my own means of being on the water as the core team were all being supplied with paddle boards. Packrafting. I had never heard of it until a friend of mine had introduced me to one a few months prior to meeting the team and had a small trip with him along the canals in London. It was simply great! 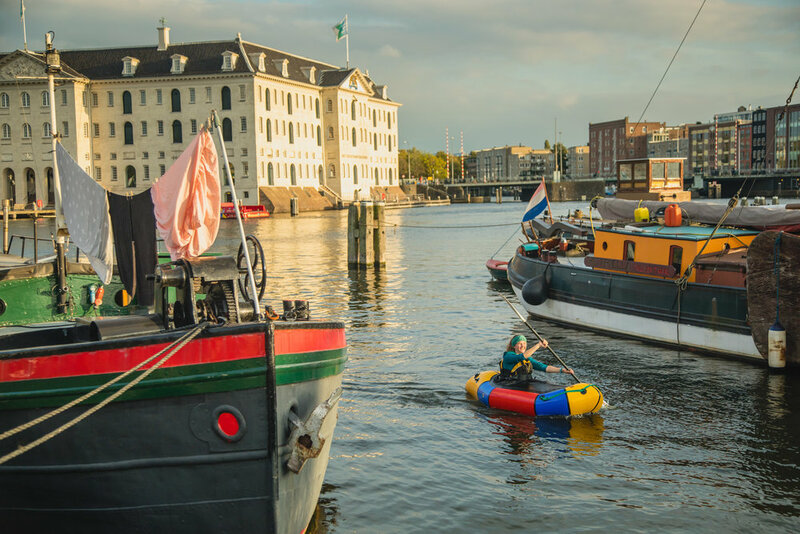 It’s like kayaking – but in a much wider, lighter and more stable vessel, and it’s inflatable so much lighter too. I currently live in a flat in London whereby owning large pieces of outdoor equipment is just not viable. But having a raft that packs down to the size of a large shoebox, weighs about 3kgs itself and can easily be stored and transported is a massive win in my books! I had thought about buying one after heading out with my friend, but they’re not cheap by any means. This journey however was a perfect excuse to get one. Little did I realize how its directional control, or lack there of, would affect me… (There is a reason why my raft was aptly name ‘Kylie’). The trip itself didn’t exactly start as planned for me… I was flying to Delhi with the idea to rendezvous with the team almost 60miles due east. However due to work, I could not join the team from the very beginning, but I put all my plans in to place to meet up with them as close to Delhi as I could. However, it doesn’t help spraining your ankle 5 days before you leave, and whilst trying to nurse your sprained ankle unknowingly fracture your metatarsal 4 days after you arrive in Delhi on the way out to meet the group. Long story – but my sprained ankle was healing well. Not speaking a word of Hindi and relying on Google translate; I was still able to join up with them – that in itself was an adventure! From there on in, it was nothing but rural India. I could not have prepared myself for the sights, sounds and smells that my senses would be bombarded with – some of which are indescribable. Rural India seems a simple way of life – farmers working the fields and their crops, mothers tending to their children, with the constant chugging of water pumps supplying the lands with much needed water direct from the Ganges. We would be looked at quizzically as we paddled by with the odd excitable child laughing and waving. It wouldn’t be until we landed each evening where we would get inundated by locals all wondering why these foreigners would want to do such a journey. It wasn’t until Shilpika (who could speak fluent Hindi being of Indian heritage herself) could depict what we were doing and why we were doing it. Kumaran Mahalingam who was also a key member of the team from the first couple of weeks was also able to help translate. Some locals believed the waters were clean and pure, yet others understood the problems and would only drink water from the hand pumps dotted around the countryside. We had seen for ourselves however how raw sewage and chemicals from towns and factories would run off in to the Ganges untreated. This is why we were there and the team were under taking such a mammoth journey as believe it or not, the river Ganges is rated as one of the most polluted in the world. The journey for me was by no means easy – I was after all in an inflatable bathtub not designed for long distance paddling. 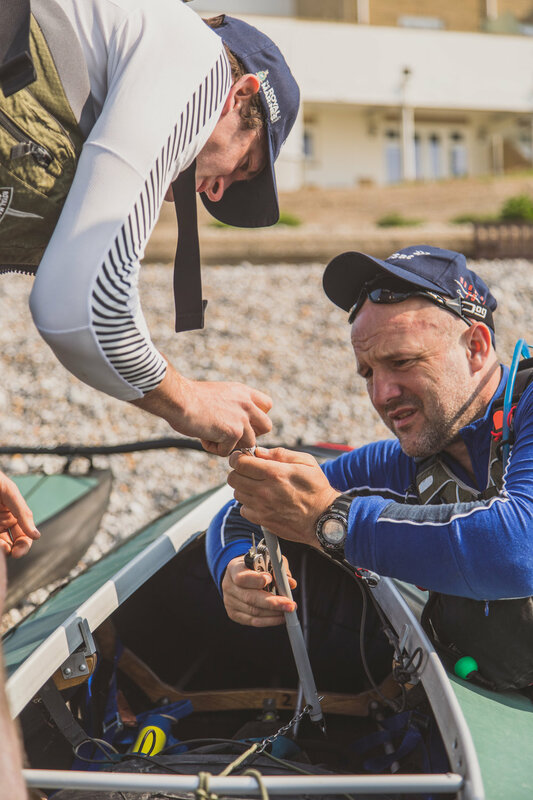 There were certainly some hard days where I battled exhaustion, and others with some head-on winds where I had to put all my concentration and effort in keeping the raft moving forward as otherwise I would just be push backwards. Trying to take photos was pretty tough also – I stop paddling for more than 5 seconds and my raft would begin to spin and do a complete 180 (why it was nicknamed ‘Kylie’). I had to quickly learn the art of framing whilst spinning! I do think I managed to get some great images though. Despite the expedition having taken place a year ago, I still think to myself how privileged I am to be in the position that I am in. It reminds me that I should be thankful and enjoy every opportunity that comes my way. I had learned so much about myself in many different ways and I look back on this specific journey to remind myself how lucky I am. This is why I want to tell more stories through the use of adventure. Thankfully since the expedition, we have now seen how the Ganges status has now risen in stature and that more is striving to be done to help clean it up. There is a long way to go though to get it back to how it used to be. The future is bright, but it will take time.